Loving, passionate, with a beautiful heart and soul. 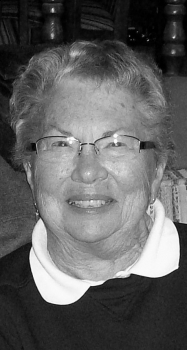 Carol B. Anderson, 81, Everett, passed away peacefully, surrounded by her family on Tuesday, September 21, 2010. She was born on December 21, 1928, in Ketchikan, Alaska. Carol was loving, passionate, with a beautiful heart and soul. She was a gift from God. We feel blessed to have been a part of her life. She was the greatest wife, mother, aunt, grandmother, and great-grandmother. We will miss her tremendously. She is survived by her husband, Bill, Everett, married 63 years September 10, 2010, her children, Christine Metzger (Jim), Bellevue, Scott Anderson (Margie), Everett, grandchildren, Jenifer Anderson, Jessica Metzger, Jeff Anderson (Sarah), Brian Anderson (Julia), Stephanie Metzger, Jimmy Metzger, five great-grandchildren and a grand dog. Carol was preceded in death by her two sisters, Mary Ellen Matthews and Edith Peterson, Everett. For many years she was employed by the Snohomish County District Court. 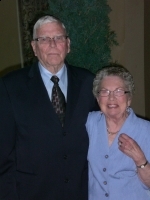 After retiring she and Bill enjoyed traveling in their motor home, trips to the Oregon coast with family and friends. Other activities included bird watching, square dancing, Seahawk games and timeless hours gardening in their beautiful yard. She was an avid cook with one of her best meals being her ‘Saturday Night Special’. Simple but oh so good. At her request, no public service will be held. Private cremation with burial will be at the Floral Hills Cemetery. Donations to Childrens Hospital and Providence Hospital Foundation Everett, or your favorite charity is appreciated.